Steel coupler is splined on one end and has a 3/4" round hole on the other. Fits big GM gear box for pre 1978 vehicles. Warning: This coupler is splined 13/16 x 36 all the way through. 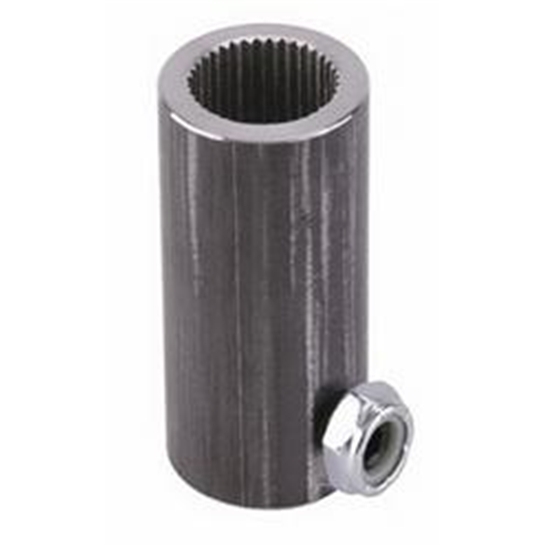 It fits OK on 3/4" round shaft for welding, even though it has interior splines. Note: Coupler features 13/16"-36 internal splines from end to end of this unit. It will also work for a 3/4" weld on application.